Beautiful Incentives: #Heart rate monitors do much more than rate your heart. #Heart rate monitors do much more than rate your heart. Do you have a sensitive heart that needs to be looked after? Are you sick of constantly going to the doctor for a checkup to make sure you are ok? There is a better option in between the mandatory doctor visits to reassure you of your health. Have you ever considered a heart rate monitor bracelet? It is not an eye sore and really just looks like an ordinary fashion bracelet. This isn't an ordinary monitor though, it counts calories and steps. It will record all your activity. Heart rate monitors are far more advanced than ever before. In western societies, cardiovascular health is at serious compromise due to a number of factors such as poor diet and a lack of exercise. Individuals need to take steps to improve their heart health in order to avoid some future complications such as strokes and heart attacks. A regular visit to a doctor's office can only do so much when it comes to monitoring heart health. Some individuals may want to keep track of their cardiovascular activity on a daily basis. 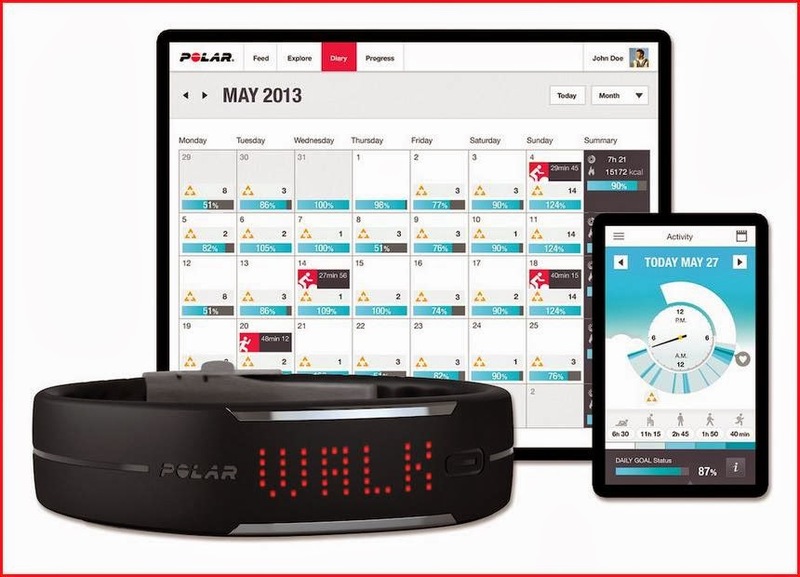 Polar Loop is an example of a device that monitors various heart rate parameters. In the gym, heart rate monitors are used to keep track of cardiovascular performance when using elliptical trainers and treadmills. Similarly, portable heart rate monitors may be used for tracking exercises such as running. Knowing the heart rate in beats per minute is a simple but very critical piece of information regarding personal health. There are innovative heart rate products available that are designed to keep individuals motivated to stay in proper shape. For example, heart rate bracelets like the Polar Loop are actually advanced digital gadgets that are loaded with an array of useful features. First and foremost, heart rate monitor bracelets can show the BPM of a user's heart at any instant. There is also smart technology that accurately keeps track of activity levels such as number of steps taken in a day. Heart rate bracelet monitors are also capable of counting the number of calories burned in a given time period. The real time monitoring technology can also alert users when they are inactive such as sitting on a chair or sofa for too long. Heart rate monitoring bracelets need to be paired with compatible wireless sensors. It is the job of the sensors to record and store all information gathered throughout a day. Heart rate monitor sensors usually have USB interfaces that are compatible with any computer or laptop. Some sensors can also be synced with smartphones through mobile apps. Users can have access to a load of information and data right on their phones or computers. Advanced software makes it easy to analyze one's cardiovascular health. Such programs also make it easy to set and reach certain goals regarding heart health and overall fitness. Heart rate bracelets are powered by small batteries that may need to be replaced every few years. Durable materials such as rubber prevent any damage to advanced heart rate bracelets. If you have a heart you need to take extra care of, consider a heart rate monitor that does so much more.